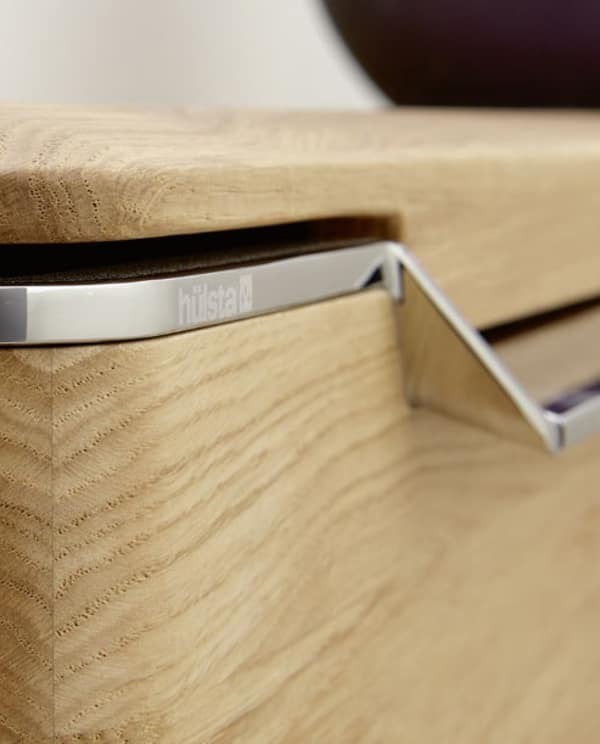 hülsta AUNIS | hülsta - Design furniture Made in Germany. Two trends – one solution. 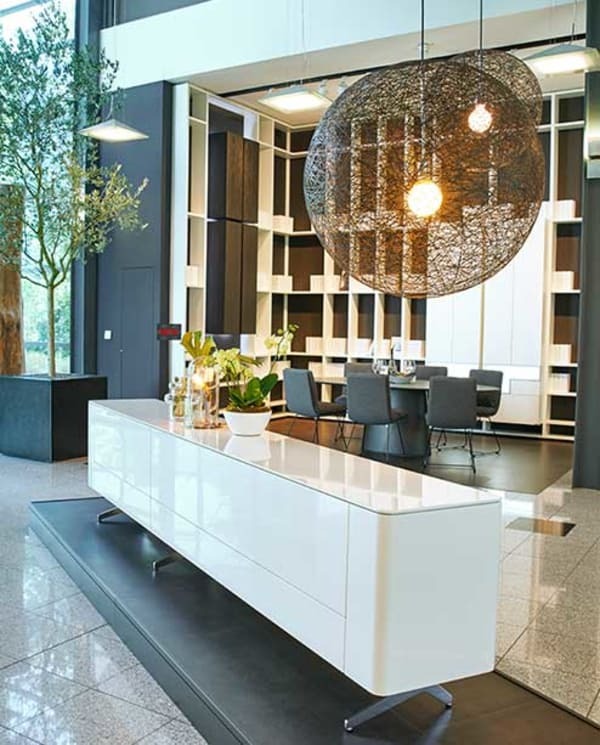 AUNIS caters for the increasing demand for environmentally friendly products and space-saving furniture. The high-quality living room combinations from AUNIS often do not exceed an overall width of just 3.5 metres. Intelligent sliding doors do not require any additional space for opening and closing. The all-round comfortable feel is enhanced by the modern and urban design. Tilted milled features deliver a dynamic overall look. Solid oak underlines the natural charm whilst solid walnut creates elegance. Strong accents in anthracite structured lacquer offer the respective contrast. Further accents are set by indirect, energy-saving LED-units, which can be dimmed and switched from cool to warm white. Highest quality and sustainable design do not contradict one another. AUNIS respects nature’s precious resources by using them conscientiously. The scarce raw material solid wood is therefore only used on the outside of the AUNIS designer range. The inner sides of the furniture are lacquered in colour, providing an elegant, high-quality look that has been responsibly designed.